St Martins Priory has a long held reputation for delivering outstanding cuisine. For parties of 40 guests or less, three course wedding breakfasts can be enjoyed in the magnificent Frederic Mason Room, adjoined to our beautiful Jacobean Suite. These rooms are made up of awe inspiring oak panelled walls and a huge stone fireplace with a historic biblioteque. For larger weddings (over 40) we can provide bespoke marquees that cater for up to 120 guests for a wedding breakfast and 150 guests to an evening reception. Choose from our selection of sample menus, crafted by our range of talented chefs and caterers, using the best of British and local produce, cooked to perfection. Their approach is simple and contemporary, utilising a variety of techniques, to create a simple, but elegant dining experience using exceptional ingredients and cooked to the highest standards. St Martin’s Priory works with a range of local caterers to provide our couples with the very best produce, service and style. 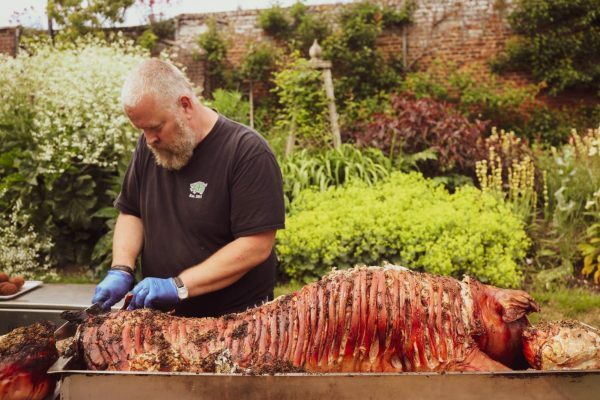 We work with local BBQ, hog roast and banquet specialists, using locally sourced and sustainable ingredients. There is nothing our friendly teams cannot do, whether it be a gourmet BBQ, afternoon tea, a three course meal, or traditional fish and chips out of the wrapper. We understand every couple is different and so should every wedding! 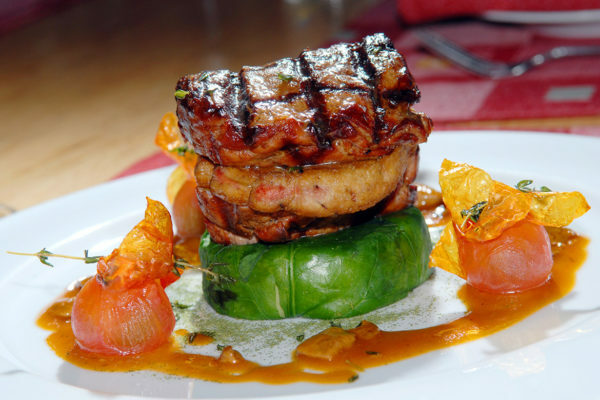 St Martin’s Priory prides itself on offering elegant cuisine, suitable to all couples tastes. Simply choose from our extensive sample menu options, or alternatively, our chefs are happy to work with each couple on a bespoke menu on request. Our friendly catering teams are happy to support individuals with all dietary food requirements, to provide a menu bursting with flavour. We have painstakingly searched to find local, honest, responsible providers who are just as committed to quality as we are. 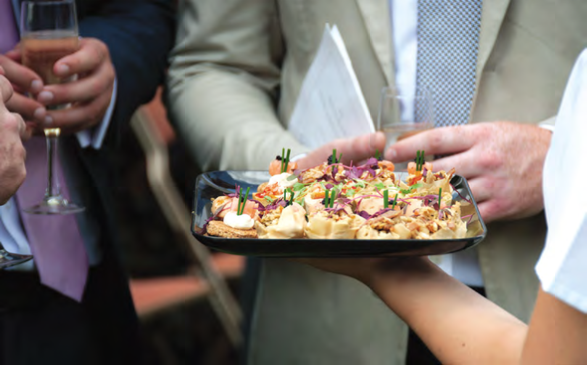 To ensure a consistent level of service and maintain the highest quality standards, we politely request the use of our in house caterers when hiring our venue. We want to ensure that our couples can relax and unwind on the day, whilst we ensure everything is made to the highest of standards, by our recommended suppliers. There are a range of options to suit everyone’s tastes and style and if there are any questions about the service provided, please contact the team to discuss it further on 0800 456 1116. We want to take the hard work out of your day and be as honest and transparent as possible, this is why we have worked hard to ensure that there are no hidden costs or charges. We include a complimentary bar service as part of our venue hire package, providing a fully stocked bar and a minimum of two bar staff. The bar is open from 15.00-23.30 for each event. Take a look at our bar menu for further details. We are fully committed to flavoursome food, passionate about presentation and intent on offering all of our couples amazing dining experiences – so you can trust our friendly team to ensure your wedding day is packed with flavour and passion. From the simplest of sandwich platters, to a full-on fine dining experience, our catering team approaches every dish with equal enthusiasm, to ensure that you and your guests get the dining experience they deserve. 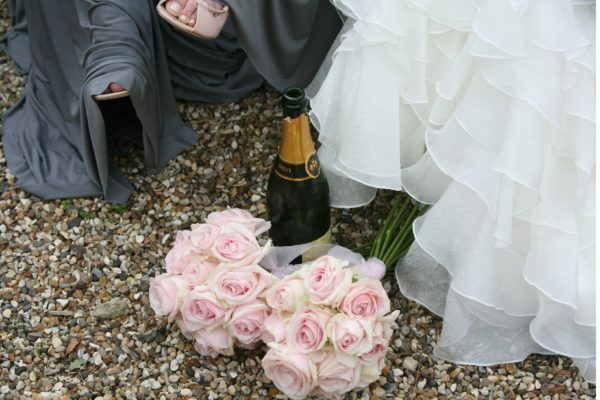 St Martin’s Priory is licensed to serve Reception drinks and can also provide a fully staffed and stocked bar. We can create a bespoke drinks package and recommend wines that will pair well with the food dishes, to enhance your wedding experience. To make your day as hassle free as possible we have created a drinks package for you and your guests to enjoy. 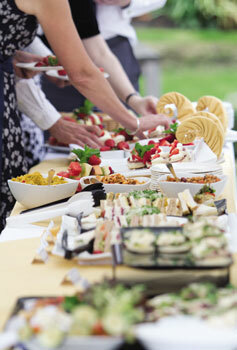 This package includes all you need to ensure your guests are looked after from the ceremony through to the speeches. We can make adjustments to this as required and we are happy to build bespoke packages for our couples on request. 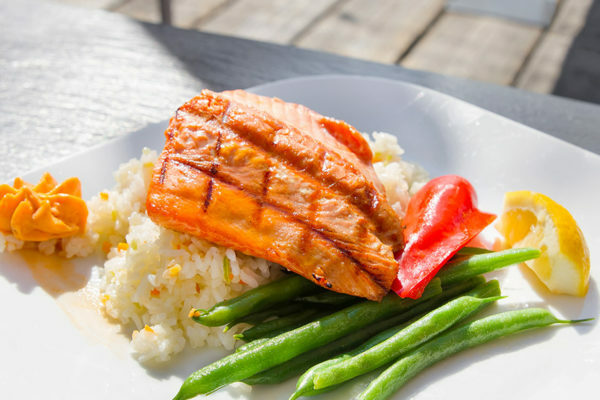 We worked with the chef and catering team to develop an appropriate menu for the day and everyone sang the praises of the quality of the food and also the attentiveness of the staff. The venue and the team were a dream to work with and we would highly recommend the Priory as a wedding venue.